After all the busyness of preparing for Non-League Day last week, things have been far less eventful. I'm currently on a seven-day run (Tuesday-Monday) of late shifts at work so football has been well and truly off the menu for me this week - I'm heading in again shortly so need to finish up quick. However, I have a week off from next Sunday and with no firm plans at the minute, a little voice inside me is saying 'Do a great London groundhop' - in other words, try and see a game every day for a week. Now I'm not even sure if there are games every day or whether my family will appreciate it but it would be a lot cheaper than going away somewhere and would get the lack of live football well and truly out of my system. Have you ever undertaken such a thing? What's your record for amount of games watched in a week? I've actually got a couple of days off this week too and am very tempted by some of the matches on offer with Leyton Orient v Dagenham & Redbridge catching my eye in the FA Cup. 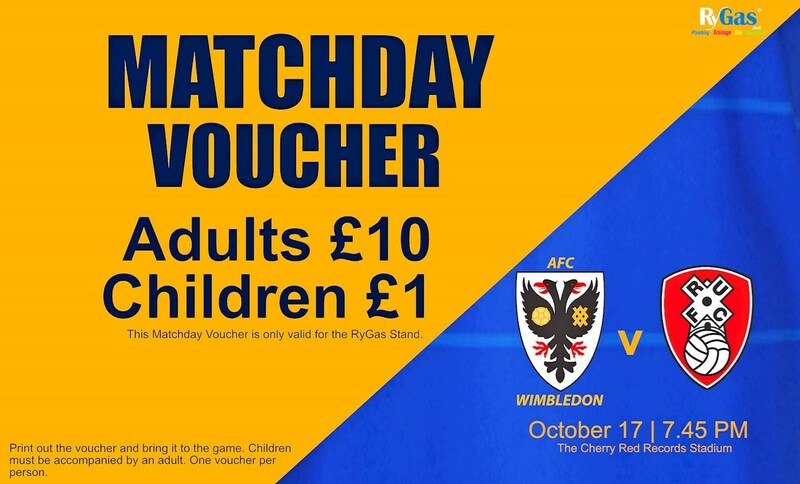 There's also a really great deal on offer at AFC Wimbledon where you can get into their League One match against Rotherham on Tuesday for only £10 if you download a voucher from their website. There are also several good options in the U23 leagues this week which allow you to see a couple of games a day on Monday and Friday - there's also a 'double' possible on Saturday as well but you'll have to read on to find out where. Tickets for England's friendlies against Germany and Brazil at Wembley in November also went on sale last week so buy now if you don't want to miss out. Right, I think that's it from me. Enjoy your week and let me know what you've been up to - photos are always welcome on TLFG's Facebook page. There are over 100 matches in the London area over the next seven days as the Premier League and EFL take centre stage. It's also a big week of cup football with the next round FA Vase taking place and a number of FA Cup replays too. Chelsea v Watford @1230pm - after seeing Arsenal slain at Vicarage Road on Saturday, Antonio Conte will know his side can't afford to be complacent against this highly combative Watford side. And why should they be? Marco Silva's Hornets are now above Chelsea in the table and pushing for a place in the Champions League! 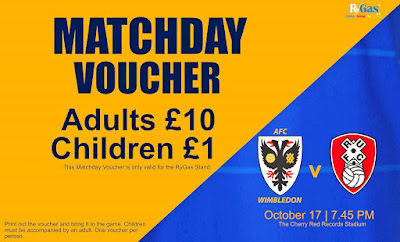 Thanks for sharing this discounted voucher of one of the match of The london football guide.I am also a great fan of TLFG and won't miss this opportunity.